We’d love your help. Let us know what’s wrong with this preview of The Original Warm Fuzzy Tale by Claude Steiner. When a mean witch convinces people that giving away their Warm Fuzzies will result in a shortage of the happy-making creatures, and introduces Cold Pricklies as well, people become less generous, greedier, and generally unhappy. 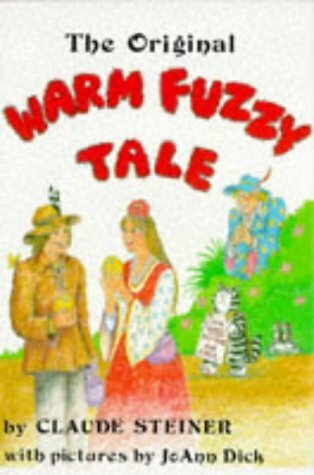 To ask other readers questions about The Original Warm Fuzzy Tale, please sign up. I actually did not read this book...I heard it over and over again at campfires as a child. The premise sticks with me to this day, to the point I get a kind of cold prickly sensation at the back of my head when I say or think something really mean (which I hope is rare). Talk about Pavlovian. I would be a happy camper if I could find this book and revisit the story. The Golden Rule is explored in a different and more interactive way. I like this book as a preservice teacher because it will give me a way to introduce this concept in an engaging way. I recently red Steiner's Emotional Literacy (which is very good by the way) and there he made a reference to this tale. I love it, and the symbology in it. I do not know how effective it is to review and recommend this book, as my own search to procure a copy as been fruitless as of this time. I grew up reading this book which essentially helps children to understand the golden rule and how showing kindness eventually brings to their own lives peace and tranquility even if others insist on wronging them. Actually, I may have gone a little overboard in claiming the scope of the story, but any child will get the point. If you manage to find a copy, kudo I do not know how effective it is to review and recommend this book, as my own search to procure a copy as been fruitless as of this time. I love this book because you can do a great lesson with the warm fuzzies that you can use in your classroom year long. I plan on using this in my classroom. It can be used for all younger kids, no matter the age. There's a message here, which is important for making sure you have more happiness in your life. I grew up on cold prickly's, and now do my best to make sure I only have warm furries (we changed it to furries, it felt softer than fuzzies). 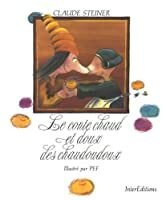 Sometime in the haze of the 1970s, Claude Steiner decided to promote free love by writing a children's book. In 1977, it was published. Perhaps it seemed like a good idea at the time. I mean come on! Warm Fuzzies... who can say NO! One of my favorite childhood books! Hello, '70s feel-good anti-establishment lovefest! I am a clinical psychologist and transactional analyst. Since 1965 I have studied, written, taught and lectured about the importance of, and relationship between, rational information and the emotions--especially love -- and how these two factors affect our personal power. I have developed a program for emotional literacy training (click here) using transactional analysis (click here) principles a I am a clinical psychologist and transactional analyst. Since 1965 I have studied, written, taught and lectured about the importance of, and relationship between, rational information and the emotions--especially love -- and how these two factors affect our personal power.